A car accident attorney will attest that when you are in a car accident, the emotions that hit you can be overwhelming. After taking a deep breath, typically the first course of action is to check and see if you or any passengers in the car are injured. Depending on the type of accident, most of the time we walk away unscathed. We then proceed to check and assess the damages to our car and other property. But what happens if you are injured in the accident or worse, develop an injury that takes a few days to manifest? In Memphis, over the past 10 years, there have been 72,749 car accidents that have led to an injury. The first step after an accident is to make sure you get medical attention immediately, regardless of whether you’ve been injured or your injuries appear over time. During the recovery process is the best time to contact a car accident attorney so they can help you get the compensation and justice that you deserve. There’s a one-year statute of limitations for all personal injury lawsuits, so contact an attorney swiftly after you seek medical attention. Our law firm is dedicated to personal injury law with an exclusive focus on car accidents. 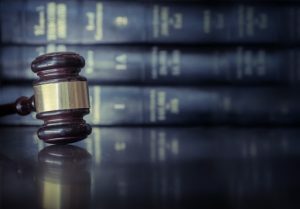 We are known for our personalized attention to our clients, and we represent them vigorously throughout the entire litigation process. When people are victims of car accidents due to someone else’s negligence, their first instinct is to settle with insurance companies for quick income to help cover the cost of medical bills and replace lost wages during the recovery period. However, many accident victims do not realize that they settle for a much smaller claim than they deserve. This is why speaking with a car accident attorney is imperative before dealing with an insurance company. 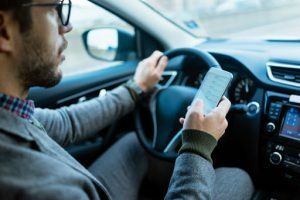 When you call our automobile accident lawyers, we will review any police reports to help determine whether or not they accurately portray the circumstances involving your accident. We will work in tandem with medical professionals to help determine liability and the severity of your injuries from the accident. Speeding – a speed-related accident refers to an accident where racing, driving too fast or exceeding the posted speed limit was a contributing factor to the crash. Vehicle Defects – common vehicle defects include but are not limited to failure of airbags to deploy or deploy too fast or too slow, seatbelts unbuckling during an accident, roof collapsing during a rollover, tire failure, brake failure, etc. Road Work Construction – this occurs when construction cones or signs are not properly placed causing vehicles to not be able to navigate the area safely. Teen Driving – when a young or new driver is involved in a crash due to inexperience of driving. Reckless Driving/Aggressive Driving – accidents caused by speeding, tailgating, excessively changing lanes or improperly passing. 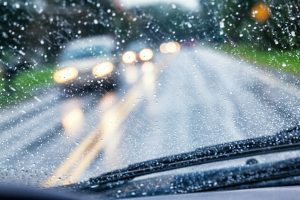 Bad Weather- rain can cause impaired peripheral vision, hydroplaning, and backscatter. In addition, fog can cause poor long distance vision and reduction in headlight illumination. Improper Turning – turning when there’s a no turn on red sign, turning at a stop sign without coming to a full stop, turning without signaling, turning without having the right of way, or turning left at a red light. Side Impact or T-Bone Accidents – usually results in spinal chord injuries, paralysis, broken bone injuries, and brain injuries like concussions. Rear End Accidents – usually results in whiplash, spinal chord injuries, and other muscular injuries such as strain or ligament tears. 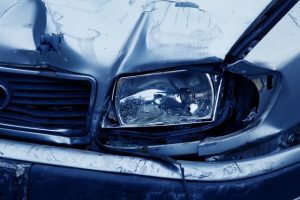 Head On Collisions – usually results in airbag injuries such as bruises and lacerations or in severe cases ejection from the car which can result in broken bones, spinal chord injuries, brain injuries, or even death. Tire Blowouts – usually results in injuries from the driver losing control of the car. Injuries include but are not limited to bruises, lacerations, broken bones, or more severe injuries like whiplash and brain injuries. If you’ve been in a car accident due to someone else’s negligence, please feel free to contact any one of our car accident lawyers. We will be happy to assist you and learn more about the details involving your accident. We will work together to make sure you get the compensation and justice that you deserve.